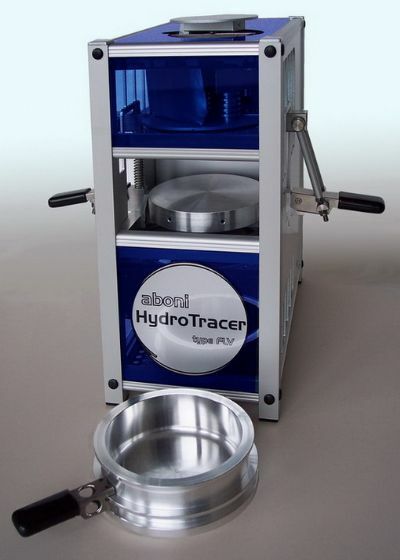 The Hydrotracer, moisture meter and analyser, is characterized by simple operation and flexibility in applications. A wide variety of plastic powders, granules, foils, and even thermoplastic foam can be tested. The absolute moisture content is analyzed by a chemical method rather than by weight loss during heating. Calibration before measurement is not needed with the FMX Hydrotracer.